Move the slider to adjust the angle. Move the point X to adjust the size of the triangle. Calculate the value of the opposite side (blue) divided by the adjacent side (red). 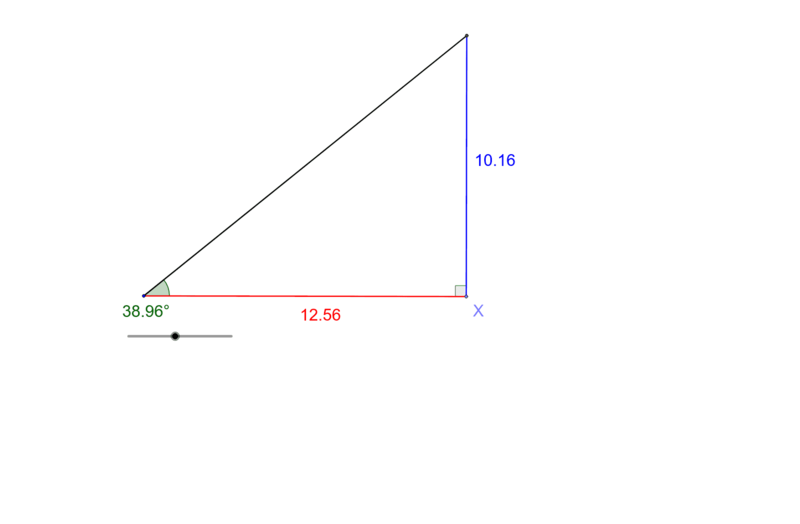 Change the size of the angle and the size of the triangle. What do you notice?